An Australian National University (ANU) study has pointed that making cars lighter and eco-friendly drastically reduces their recyclability value. According to life-cycle engineer and team lead Dr Vi Kie Soo, using lightweight and eco-friendly vehicle material actually shifts the environmental burden to the recycling stage of the vehicle. “Previous work has looked at how the multi-material combination can reduce the vehicle’s carbon footprint during its use,” said Soo. The ANU study took the help of local vendors to recycle car doors made in the 1980s, 1990s, and 2010s with current shredder-based practices. Soo found out that newer car doors manufactured in the 2010s were less recyclable than the doors made in 1980s and 1990s. She attributed this to modern day assembly line techniques that combine screws to different materials which cannot be separated easily. 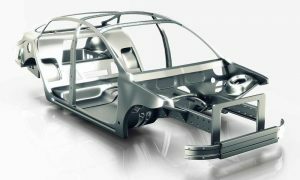 Soo hopes her work will assist vehicle manufacturers to design cars that are not only lightweight but also highly recyclable. The ANU study could also help and encourage policy makers to set stricter vehicle recycling targets globally.